Competition closes for entries online at 7.30 a.m. on Friday 7 March 2014. 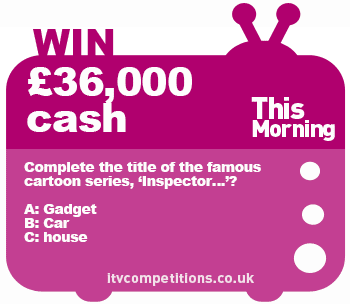 Complete the title of the famous cartoon series, ‘Inspector…’? Enter 6 times per phone number.